The Apex Grand gives you superior on the water performance. Ardent’s extremely light weight high strength aluminum frame, provides you comfort and strength need for Elite level fishing. 12+1 ball bearing produces top-level smoothness and casting distance. Featuring a deep V6061 T6 machined aluminum spool, an extra long carbon fiber swept back handle with EVA grip knobs. Internally adjustable centrifugal brakes along with externally adjustable 270 degree Mag brake system give you the preformance you need in though conditions. 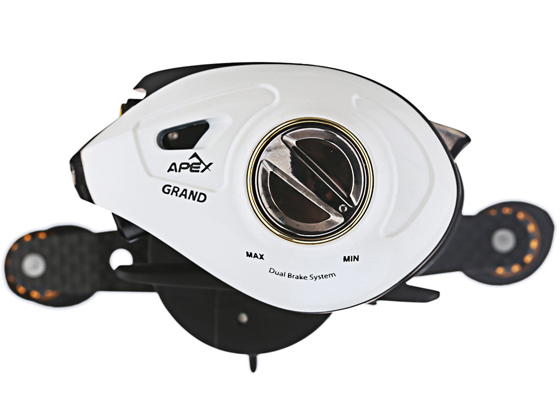 Available in 7.3:1 gear ratio in both right and left hand retrieve, and available in 6.5:1 gear ratio in right hand retrieve. Fantastic reel. Super smooth, light, comfortable and strong. 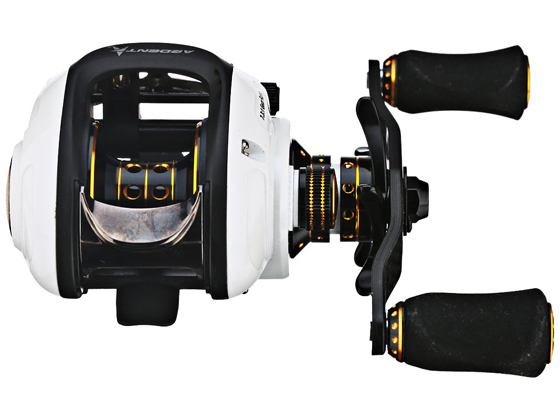 Paired with heavy fluorocarbon for flipping, this reel is absolutely dynamite. These are my go to reels and soon enough my locker will be full of them. Excellent reel. I have 3 of these at the moment will probably purchase more. Top of the line one of the smoothest reels I've ever owned. 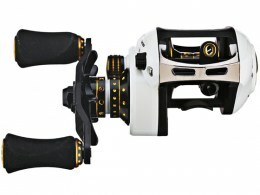 I love these reels!!! They cast like a dream wether I am throwing a weightless senko or a big football jig. I have started to change out all of my Shimanos for these wonderful reels.